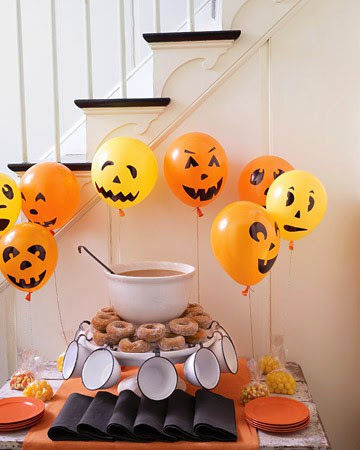 In all honesty I have only been to a handful of Halloween parties – for one I hate dressing up. 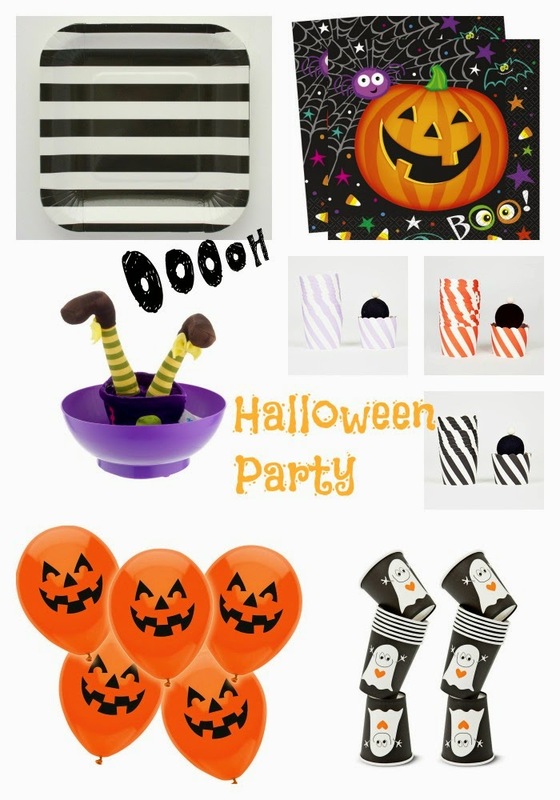 But, since having Miss Marnie its opened up a whole new world of Halloween fun for me. 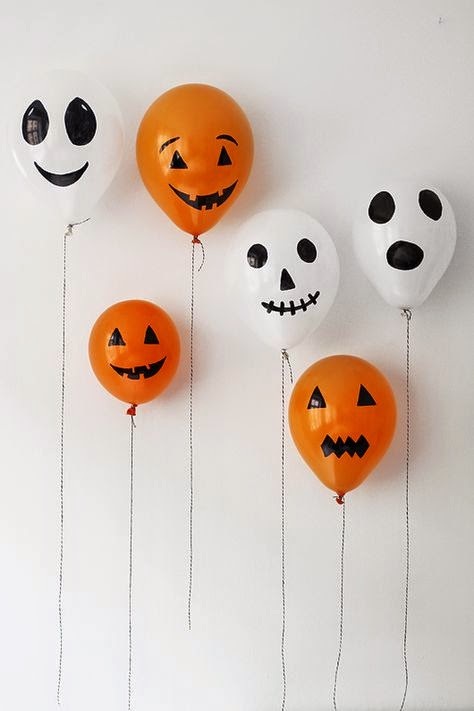 From dressing up (her, not me), crafts and fun food – I seem to get more excited by this spooky day with each year and can’t wait to organise a little party for her soon. 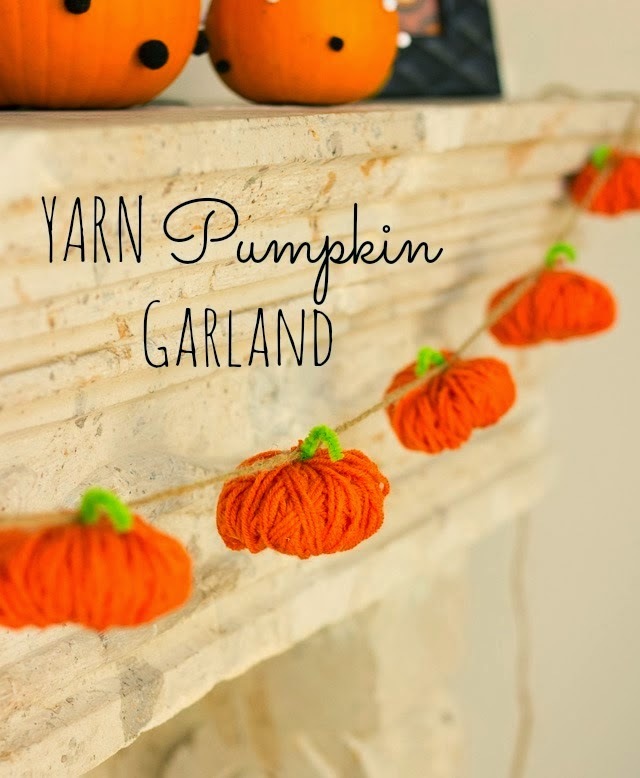 Although, I would much rather stick to the more colourful, kitsch and ‘child-friendly’ side of things (if you know what I mean) – like pumpkins, spider webs and ghosts – rather than the creepy, ghoulish side. 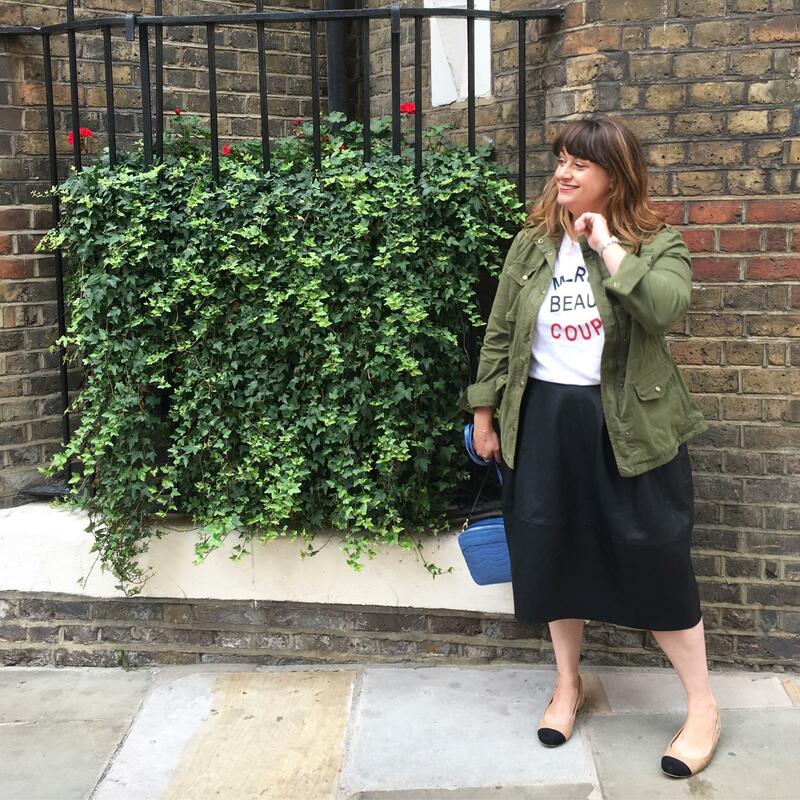 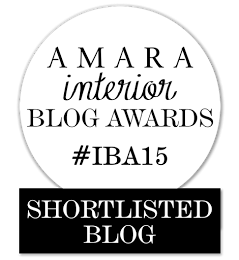 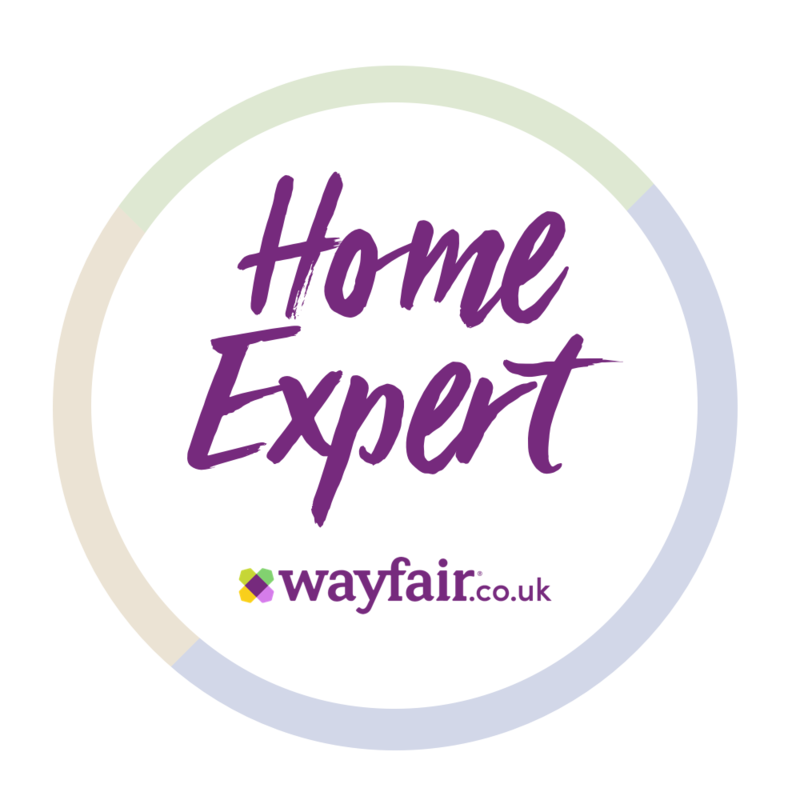 So, I have rounded up my favourite decoration ideas from… yes, you guessed it Pinterest. 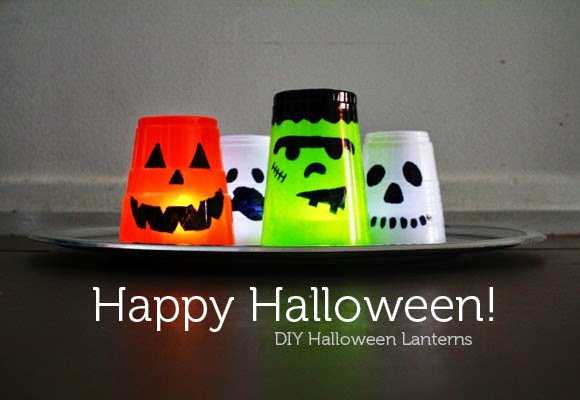 These are so easy, peasy you could do them in the dark… ha ha. 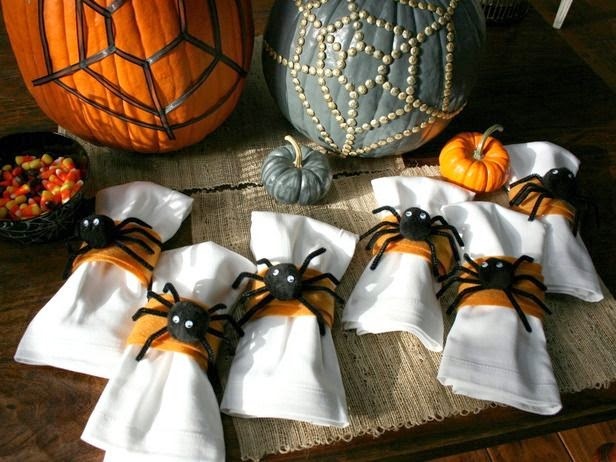 2) Ghost Garland – from PeppermintPlum You WONT believe what these are made from…..
3) Spider Napkin rings from HGTV -This look so impressive – yet will take minutes to make. 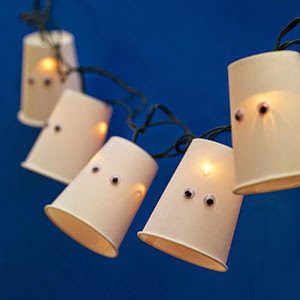 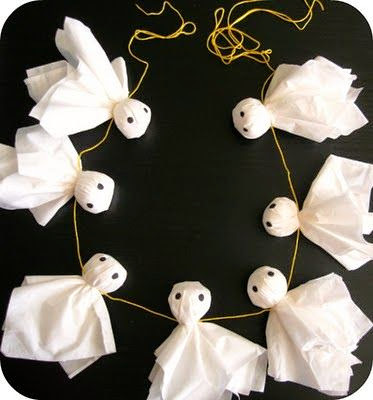 4) Spooky Ghost Garland from all you Amazing what you can create with some paper cups! 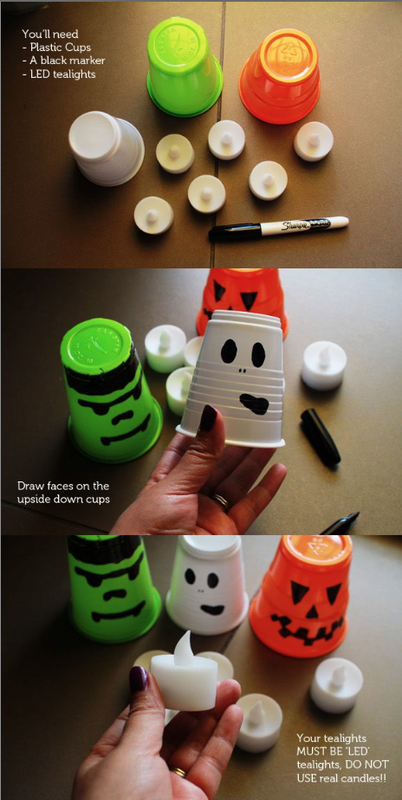 6) Mummy Candle Light Jars – from Crafts reDesigned Simple yet so effective – even the kids could do this one. 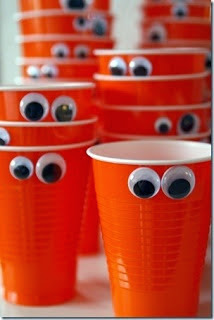 8) Pumpkin Cups – just stick googly eyes onto orange (or, even to white) cups. 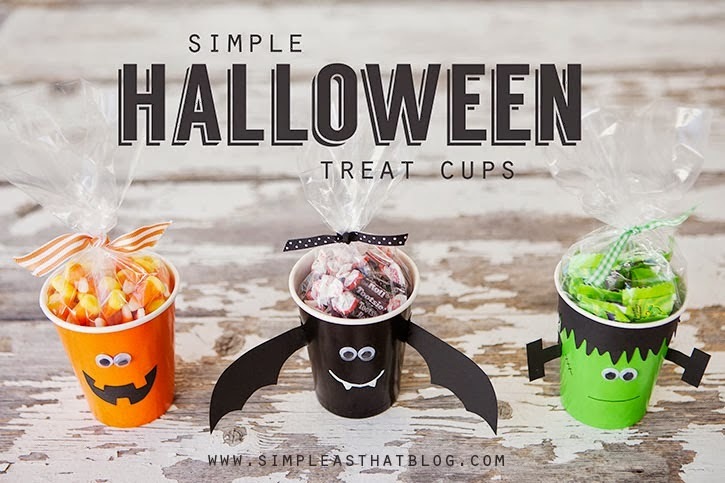 Use for drinks, holding cutlery or for treats. 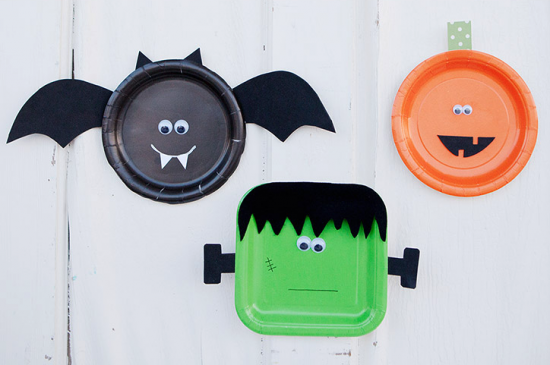 What decorations do you make for Halloween?